As a partner of Paragon Partners, Antonio is devoted primarily to Senior Management Consulting, Board of Directors and Executive Search. During ten years he led several departments at IESE Business School, working with a large number of executives and major national and international companies, and created and managed the Center for Public Leadership and Government. His experience in Public Management has been developed in his position of Social Policy Director for the Cabinet of the President of the Government of Spain. He worked as a social entrepreneur in the creation and consolidation of the NGO 'International Cooperation' in more than 12 countries. 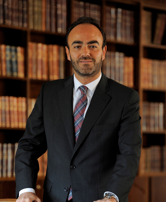 He has a Bachelor degree from CUNEF, an MBA from IESE, a Master degree in Public Administration from the Harvard Kennedy School and a PhD from the Rey Juan Carlos University. Currently he is the President of the Harvard Kennedy School Alumni Association in Spain and member of several Boards of Directors.